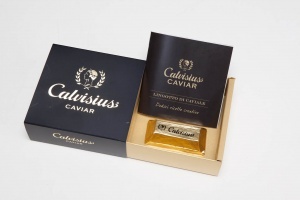 A popular tradition in past years, from Iran and Russia was to produce "pressed caviar". First the caviar oil is extracted from the caviar roes, then dried very slowly, strict temperature and time control is necessary. 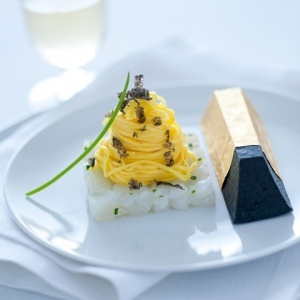 This process is very crucial in order to reach an equal "drying"
3 kilo of the white sturgeon caviar roe is needed to produce 1 kilo "lingotto"
The shape of the "lingotto" serves the drying process best and at the same time is practical and easy to slice or grate. This product is very versatile with so many uses, so let your culinary skills run wild.